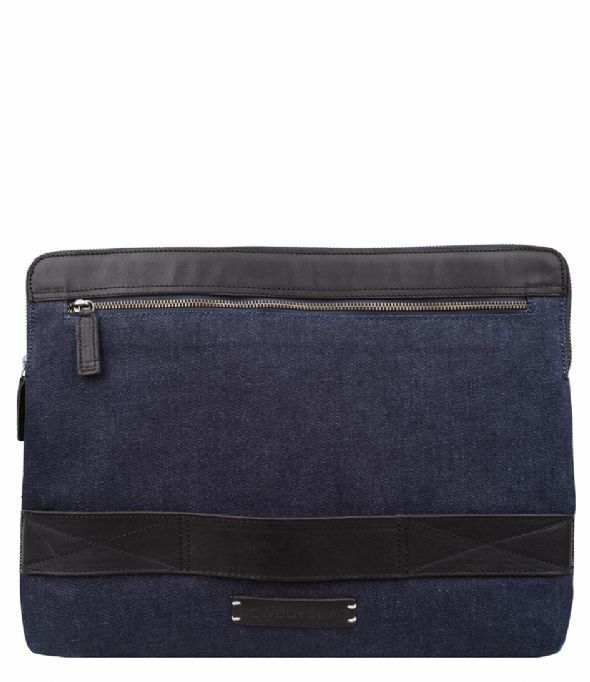 De Laptop Sleeve Delmar is a trendy accessory from the Denim Days collection of Cowboysbag. 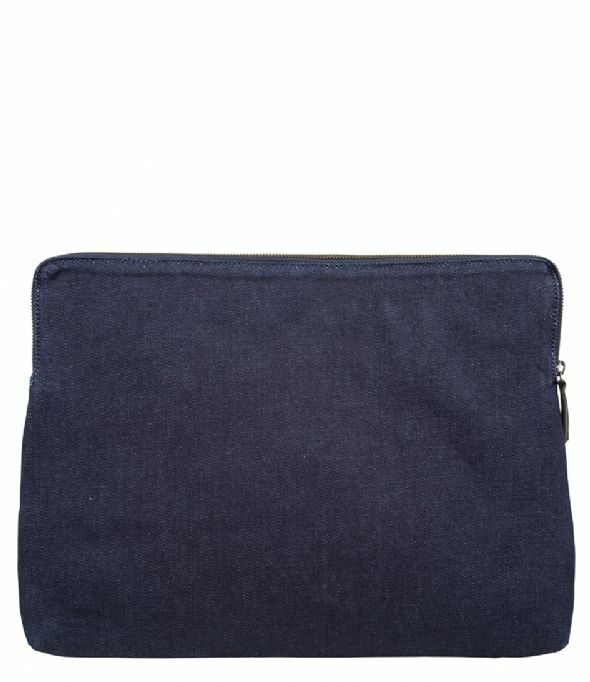 The sleeve can fit a 15.6 inch laptop. 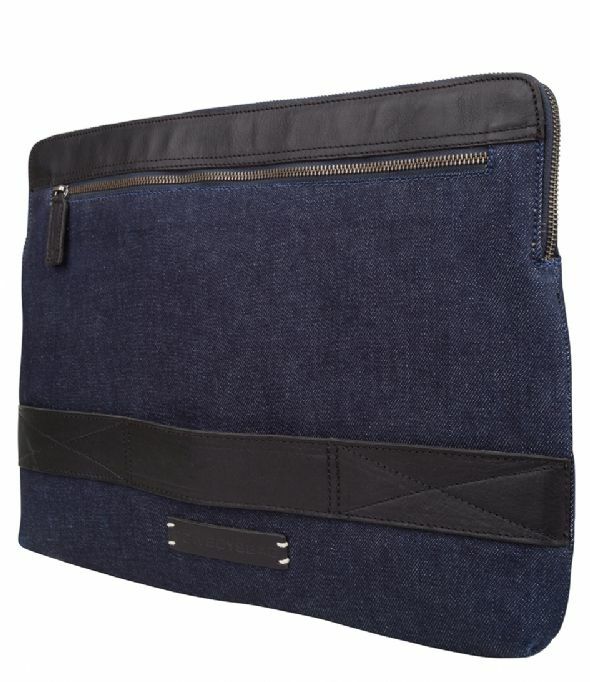 The sleeve is made of dark denim and has leather details. It closes with a zipper and at the front of the sleeve there is an extra zipper pocket.